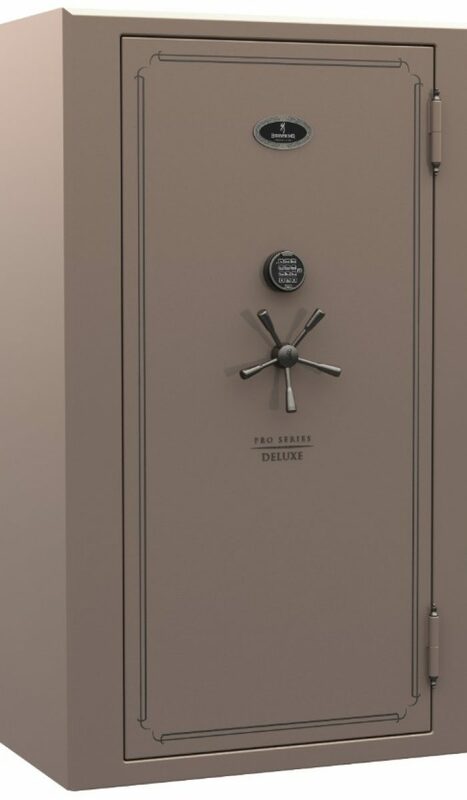 Long Island Gun Safes | Browning Deluxe: Accu-Safes Inc. 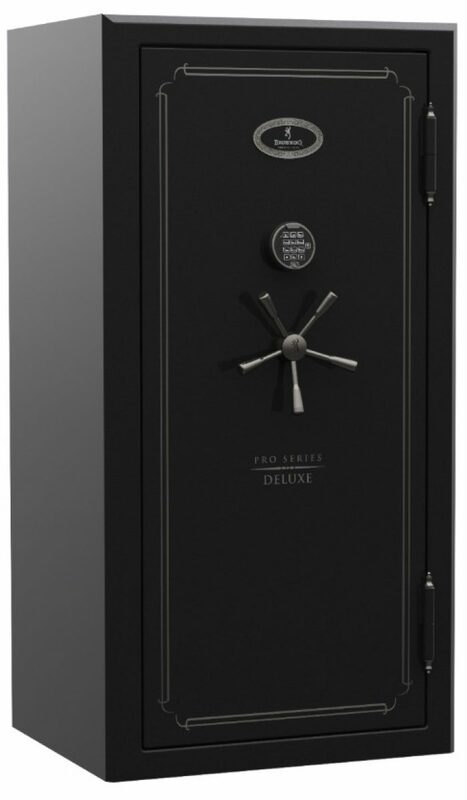 The Deluxe line of safes offer a full deck of fire protection, security and interior convenience features. The highly customizable Axis Adjustable Interior is equipped to securely store 33 long guns, with room to spare for your other valuables. The exterior of the DLX33 is a mere 25" deep to reduce its projection into a room. Securely store as many as 49 long guns in the Pro Series Deluxe 49, which features a spacious and modular interior that is ready to hold your growing collection of long guns and, with the versatile Axis interior, all of your most important valuables. Don't let the size of the DLX49 intimidate, the exterior dimensions are designed to take up wall space instead of floor space to create a less obtrusive footprint that can be easily accommodated in just about any living space in your home. 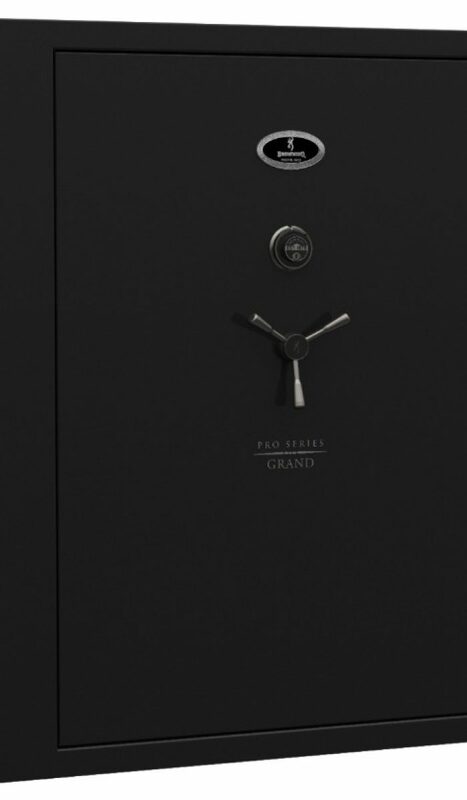 From fire protection to security to paint, the Deluxe line of safes is, well, deluxe in every way. The DLX49T is a Tall Wide safe - extra spacious to store up to 49 long guns, with additoinal vertical room to add extra shelving or store longer guns including heavy caliber precision rifles. Space for handguns and valuables is readily optimized with the unmatched Axis Adjustable Interior. The exterior dimensions of the DLX45 are designed to take up wall space instead of floor space; the safe projects a mere 25" from rear to front, creating a less obtrusive footprint that can be easily accommodated in just about any living space in your home. If your gun collection is already big, or you want space for a growing collection, the DLX65T is the largest safe in the Deluxe line. Classified as a Tall Extra Wide safe, the cavernous interior can swallow up to 65 long guns, while the Axis interior makes all of your other valuables and handguns simple to organize and locate. Make no mistake, this is a BIG safe. The exterior dimensions, however, are designed to take up space along the wall instead of projecting into the room. 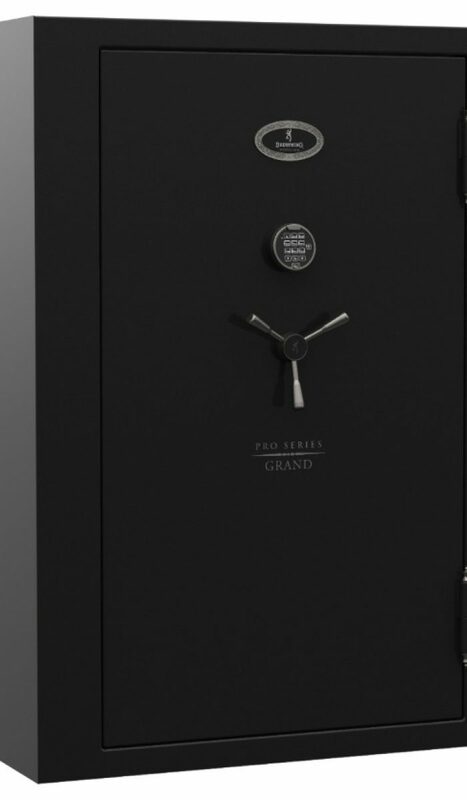 This all means that when you notice your Deluxe safe in your home it will be because of its gorgeous appearance rather than the fact that you constantly have to walk or move around it.